Our product range includes a wide range of kurkure exruder machine. Riding on unfathomable volume of industrial expertise, we are offering wide range of Kurkure Exruder Machine. These Kurkure Exruder Machine are precisely manufactured by our diligent professionals using high-grade components and leading-edge technology in compliance with set industrial norms. 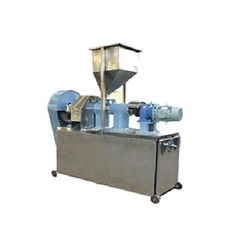 Our offered machines are widely used for squeezing snacks in various food processing industries. These machines can be availed from us in various technical specifications. Looking for Kurkure Exruder Machine ?